Andy says: "I normally post sneakers here, but this week&apos;s deal is worthy of a digression. Sebago has been getting a lot of love lately, due in large part to their collaborations with Ronnie Fieg, but they&apos;ve done some nice work with other companies as well. 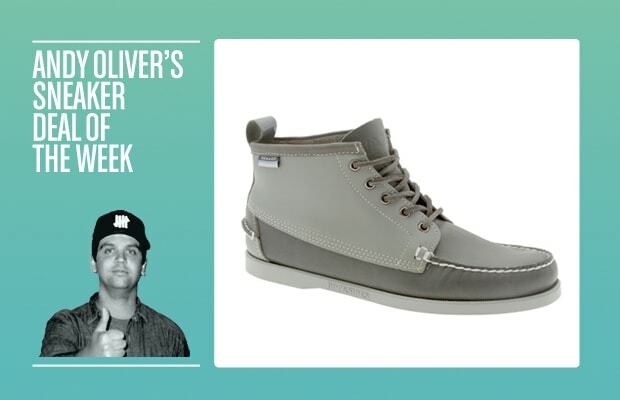 This week&apos;s deal comes courtesy of last year&apos;s Sebago x Vane line. The two toned grey Beacon originally retailed for $145, and can be had for just $36 this week (throw your favorite rep code in for the additional 10% off). Uber stingy? Get your cart to over $70 and use the coupon code PLNDRJUNE for free shipping."